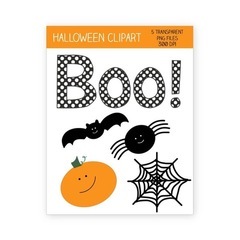 5 spooky clipart designs just for you - for free! 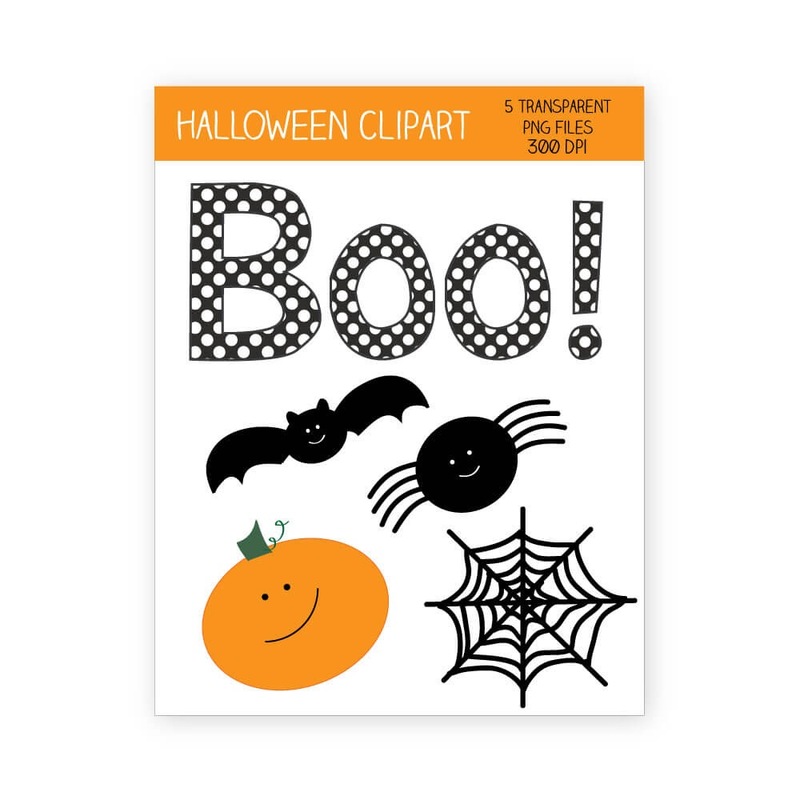 Includes a pumpkin, spider web, bat, spider, and Boo! Perfect for making home decor, party decorations, banners, garland, invitations, favor tags, water bottle labels and whatever else you can dream up! You will receive 5 crisp, clear PNG files. All images come as separate, transparent files - so you can easily incorporate them into your projects. All baby shower clip art and designs are for personal use only. Print as many copies as you need, anytime you need them.